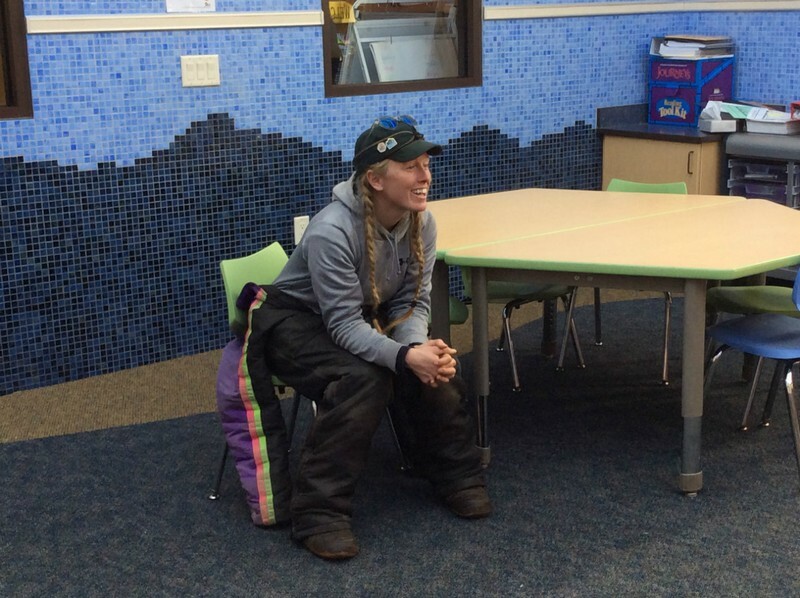 Pedigree Stage Stop - Breeze Blog - Alix Crittenden visited Pinedale Elementary 2nd Graders! Alix discussing her dogs with the students.den visited the Pinedale Elementary students today. I also have the pleasure of teaching these wonderful students. Prior to Alix's visit, students mapped the racers route around the state of Wyoming, read biographies on their favorite mushers, and learned about sled dog terms. During Alix's presentation we learned that she will attend the race with 18 dogs but only will race with 12 at a time. We also learned about and smelled what the dogs eat! Yikes, it's a good thing the dogs like it because it smelled pretty bad! 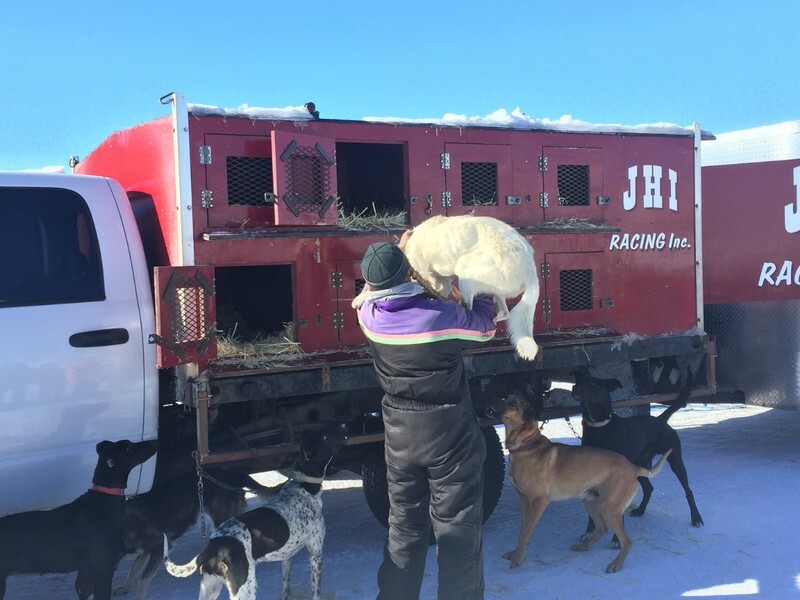 After a quick talk inside our grade level pod, we traveled outside to see the dogs, Alix's sled, and the truck she uses to transport her team! She unloaded all 20 dogs for us to see. We were surprised to see that each dog was very different. 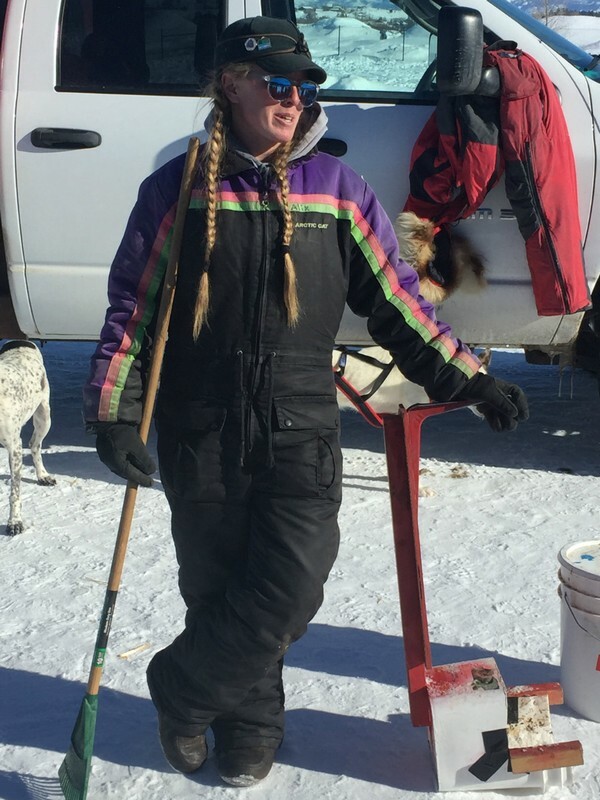 We are so exited to follow Alix as she competes in the Pedigree Stage Stop Dog Sled Race! Good luck Alix!